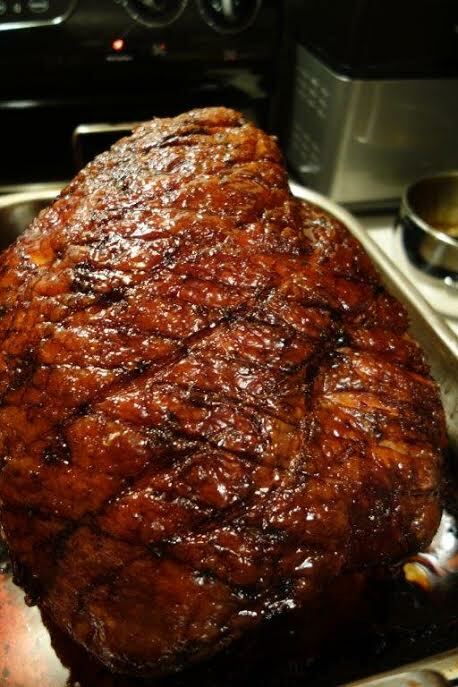 I love to cook a big ham for a crowd. 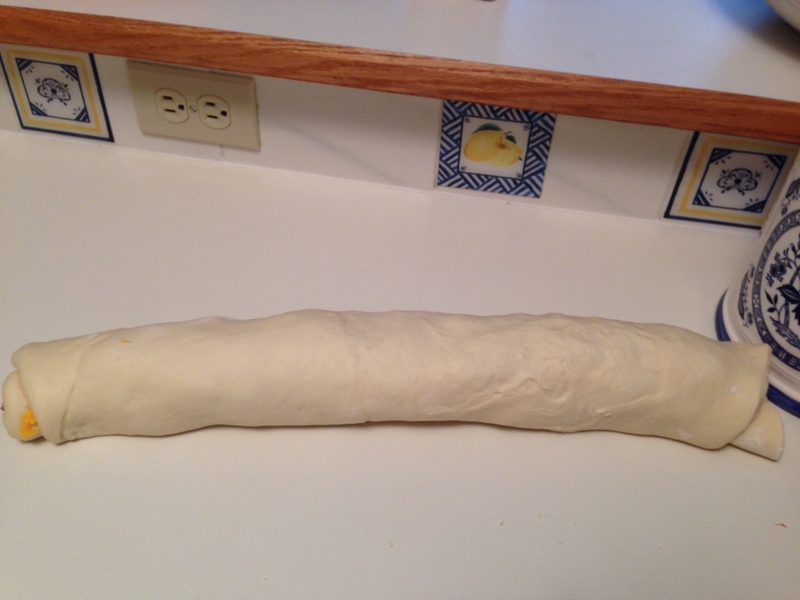 This one was particularly large, so we had quite a lot left over. 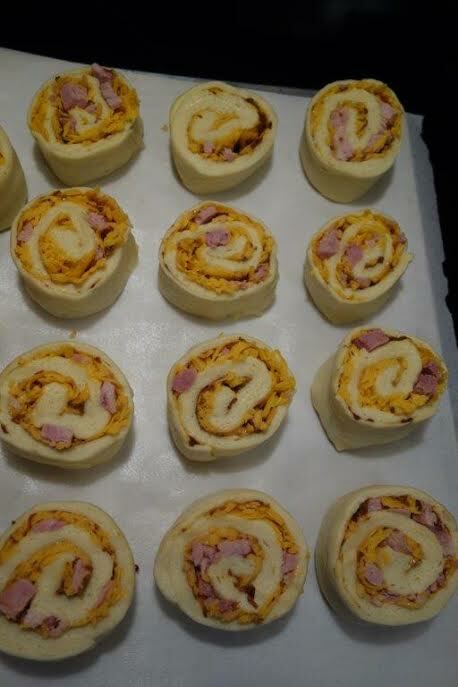 These ham rolls utilize some of the extra and make nice additions to lunches – a variation on ham and cheese sandwiches in a pre-made little bundle. 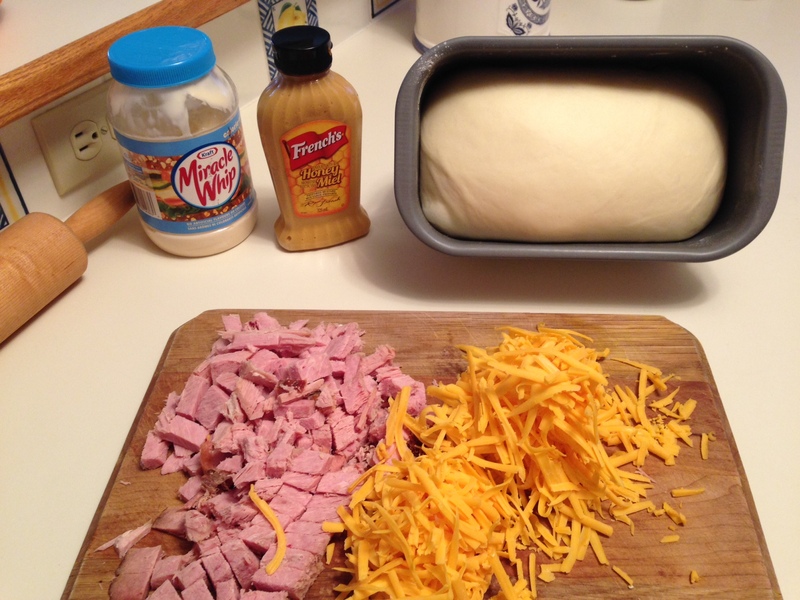 Roll out the dough about a half inch thick and spread with Miracle Whip (or butter) and mustard. 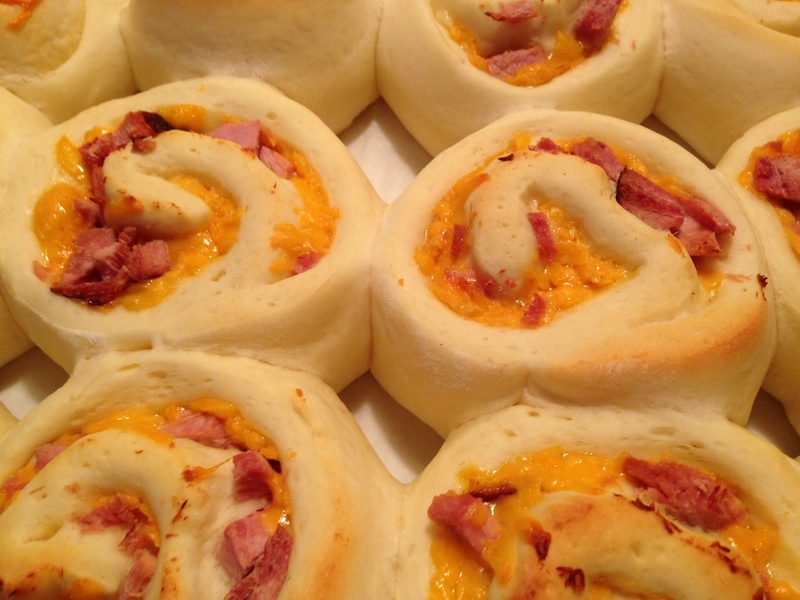 Sprinkle the ham and cheese over the dough and roll up along the long edge. 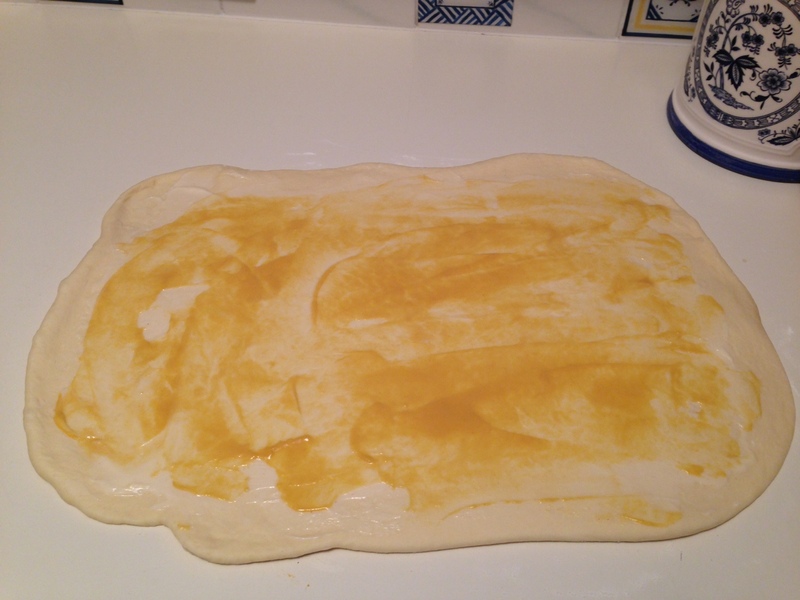 Slice dough into 1 1/2 inch slices and place on parchment paper. 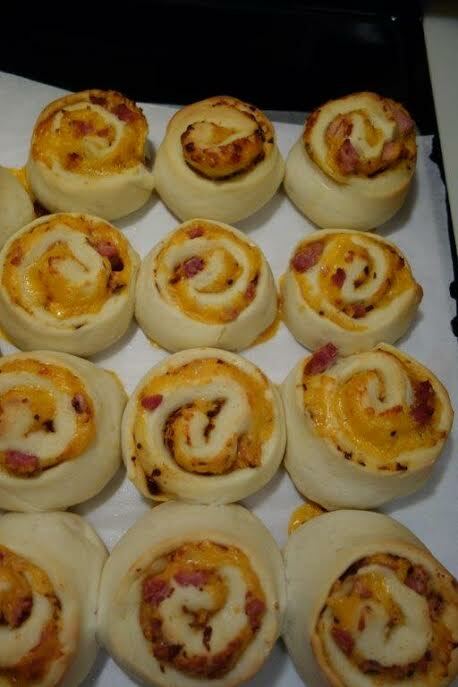 Preheat oven to 350 degrees F. Bake for about 20 minutes. These freeze well.